Well respected urban music blog, portal & clothing line http://www.UrbanVault.co.uk have been supporting the worldwide scene ever since its birth. Now in 2014 it’s known as one of the leading urban music websites, with numerous daily posts and a slick range of merchandise & clothing available. 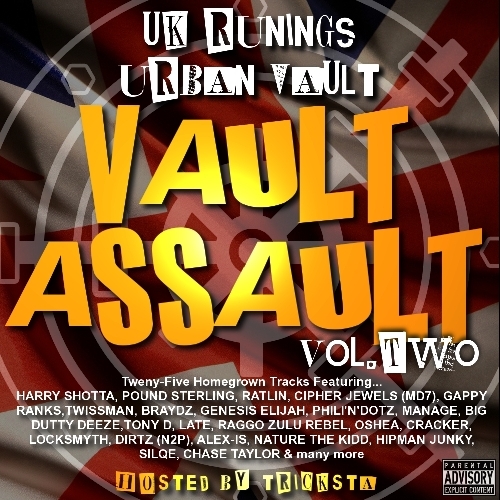 Back in 2010 Urban Vault hooked up with Tricksta from UK Runnings mixtapes and as a sponsored artist their working relationship grew and in December 2011 they dropped ‘Vault Assault Volume 1’ which had over 2000 downloads and 18,000 plays.